The holiday ideas keep coming on Design Improvised this week! Did you catch the DIY snow globes, red and aqua Christmas mantel, glittery vase, and tree chock-full of Snow & Graham paper ornaments? If not, check them out! 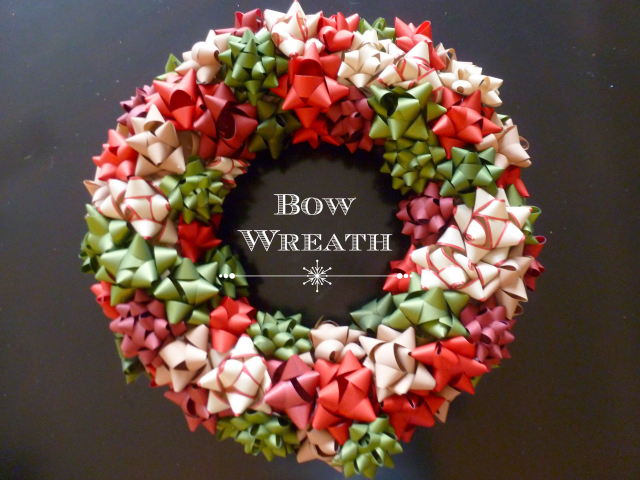 On tap for today is a bow wreath that takes only 30 minutes and $15 or so to make. Talk about my kind of project – little money and time invested for big impact. I particularly liked these bows because they were a little different than the traditional shiny metallic bows. The matte finish and range of colors and bow styles in the package caught my eye. 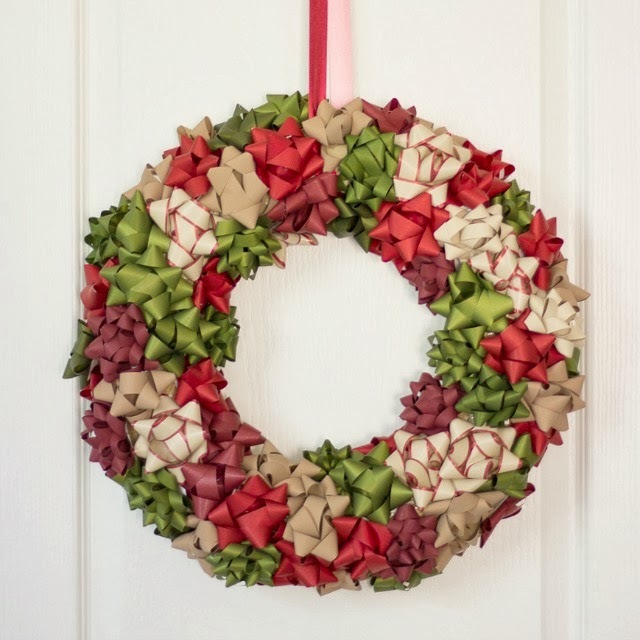 I think the key to making this wreath not look too uniform is to use a variety of colors, styles and sizes of bows. It is so simple, there are hardly any steps to lay out. 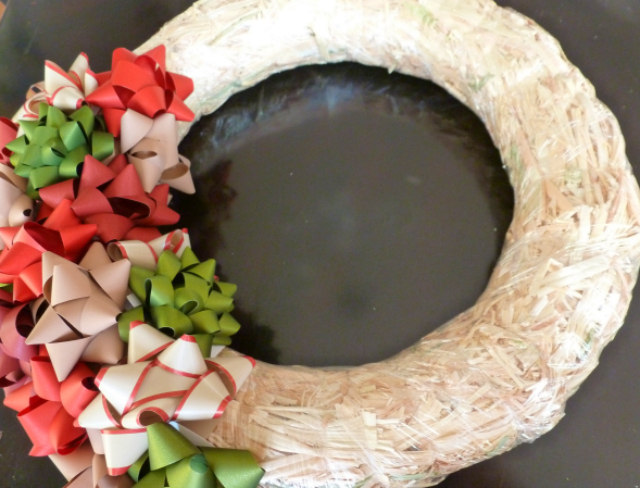 All you do is peel the backing off the bow and stick to the wreath form. You can add a little dab of hot glue for extra hold. 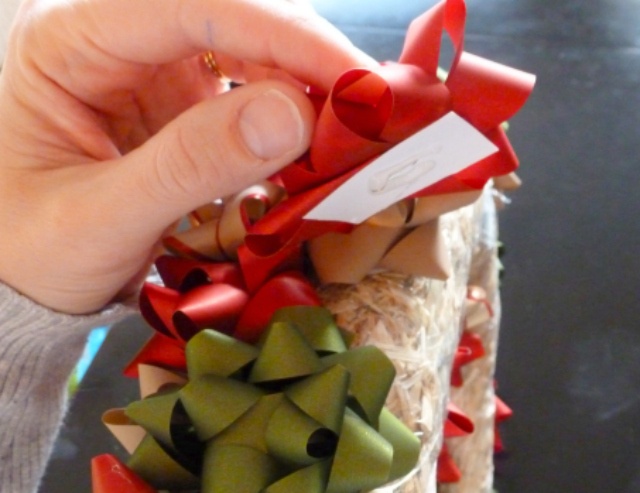 I actually kept the plastic wrap on my wreath form, thinking the bows would stick better to it than the straw. 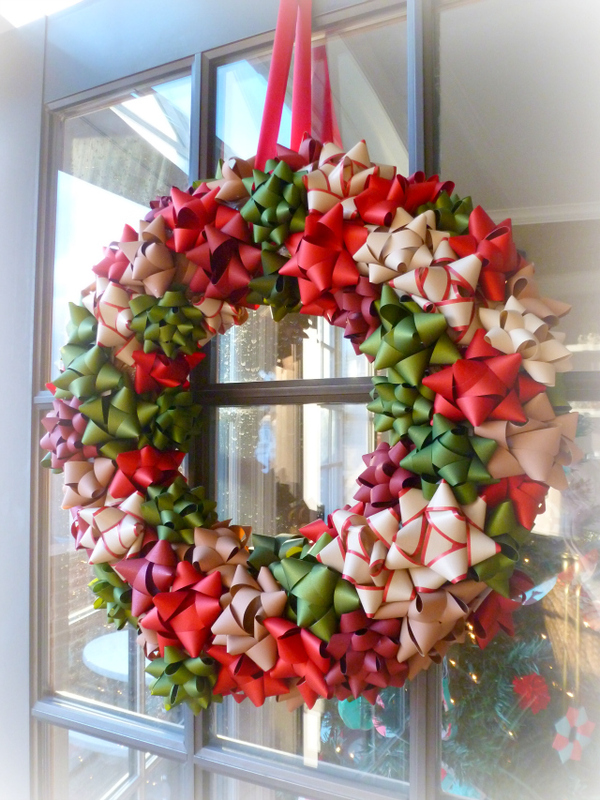 You could just peel off the backing and stick the bows straight on the wreath, but I would recommend adding a dab of hot glue to ensure they stay in place. 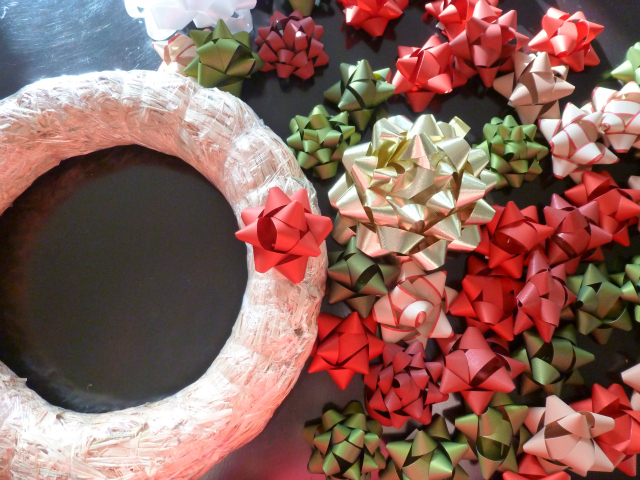 Keep going until you’ve covered the entire wreath form, making sure to cover the sides of the wreath as well. I love your wreath! It looks fabulous! Thankyou! Iam going to do! Fabulous!